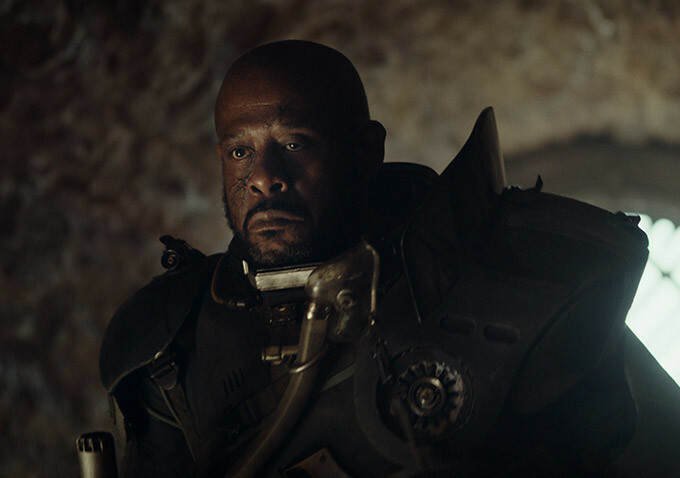 There's some mixed messaging going on when it comes to reshoots on Rogue One: A Star Wars Story. Initial reports were pretty grim, with claims that Disney execs were in a panic over the cut of the film they saw. But a more tempered story hit just hours later that said Gareth Edwards was being brought in to help work on the film's tone, which doesn't sound like too big of a deal. Well now more rumors have surfaced, some of which are pretty concerning, and some that have already been debunked. Making Star Wars tends to be pretty reliable on these things, and they say that roughly 40% of the film is expected to be reshot. Whoa. That's over the course of 8 weeks and will require the building of 32 sets to accomplish. That sounds like a lot of extra work, even if it is just to give the tone more of a classic adventure feel. "If there are any reshoots on Rogue One, I’m not supervising them. For any outlet to say so is not only wrong, it’s irresponsible. Gareth Edwards is a talented filmmaker who deserves the benefit of the doubt. Making a film – let alone a Star Wars chapter – is hard enough without the internet trying to deliberately downgrade one’s years of hard work. Who does that even serve? Let him make his movie in peace." So that would be a hard "No". The disturbing trend I'm seeing is the move away from making it a "war movie", which is what Edwards always said it would be. While it makes sense for Disney to want to match the tone of the original movies considering where it fits, isn't there something worthy in making a different kind of Star Wars movie, rather than more of the same? Disney apparently doesn't think so. Rogue One: A Star Wars Story is still on track to open December 16th.